Below are some helpful tools that I've made for my own use. They are companion documents to my book A Housewife's Guide to Frugal Food: Eat for $10.00 Per Week. Feel free to download and use. If you share, please link back to this site. Thanks! Just fill in your local prices for ingredients, then put in how much you use. 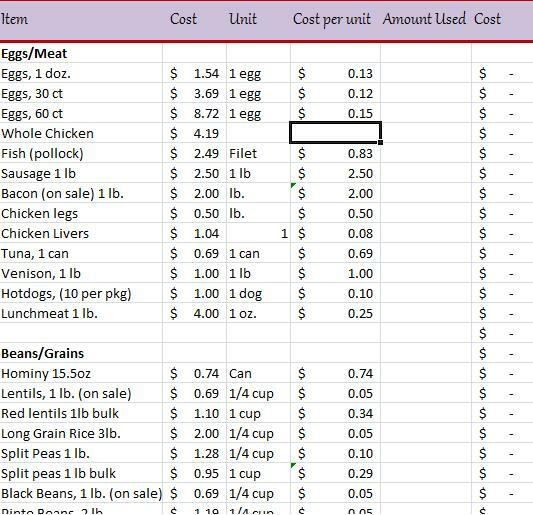 This spreadsheet will automatically calculate the total amount spent on your recipe or meal at the bottom. 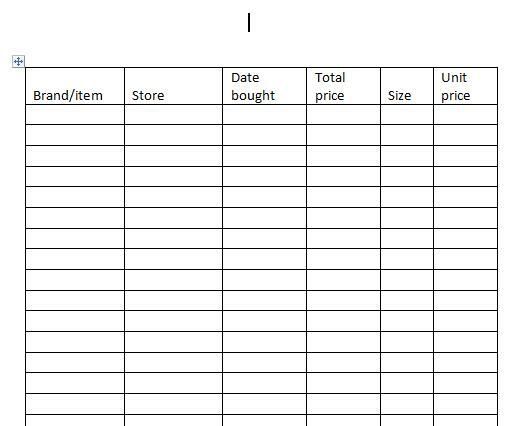 This is an ​Excel document. These pages are customizable and formatted to fit a small 7" x 9" (or close to that size) three-ring binder. This is what I used to make my own price book. This is a Word document. 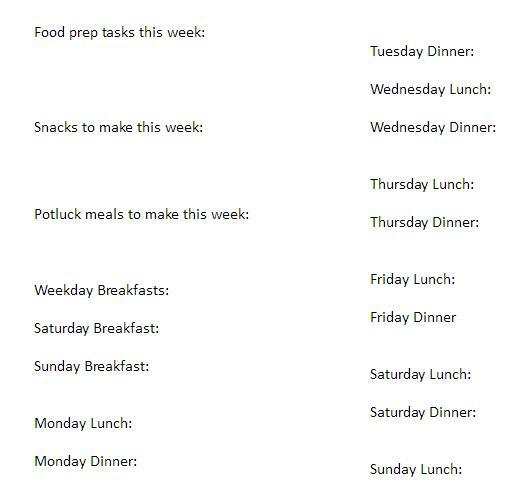 A fill-in-the-blanks worksheet for basic meal planning. Don't forget the snacks and potluck meals! ​This is a Word document. Customize with your own stores; scan the weekly ad for each store, and fill in the chart with the best deals at each store. Subtract any rebates or coupons you have, and then compare final prices to see where you should shop. Watch a Youtube demonstration here. 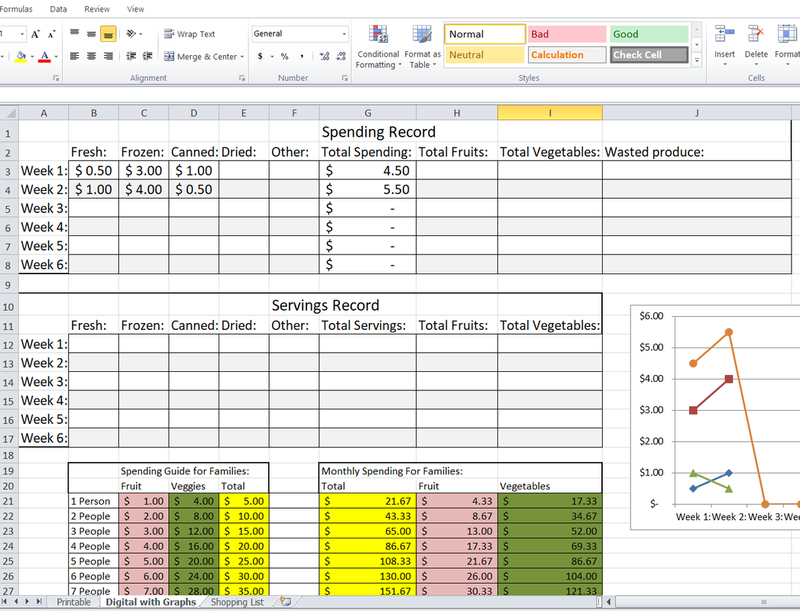 This is an Excel document. Made for readers of The Housewife's Guide to Frugal Fruits and Vegetables. Available as a free download for all!